One of our best-selling curriculum notebooks is our Letter of the Week Bible ABC program. If you haven’t yet had a chance to check it out, you’ll definitely want to head over to our eStore to view the course overview and sample pages. I’m super excited at how they turned out. 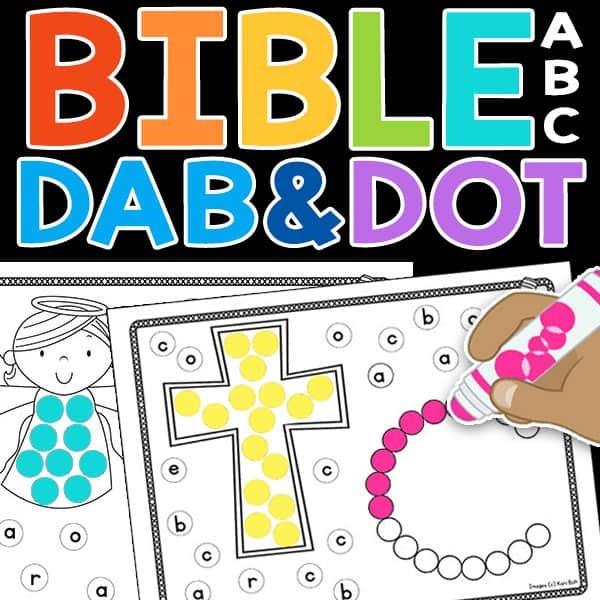 I chose to feature the lowercase alphabet alongside a beginning letter Bible picture for children to dab. There are also letter bubbles for children to seek and dab their letter for each worksheet. I would even encourage students to use different color daubers to complete their pictures if you have them. With 26 different letters, these would make a colorful display in your homeschool or classroom setting. Give each child a letter or two, then back them with construction paper and hand them on the bulletin board. Or, print up the letters in your child’s name and have them create a colorful custom art project. 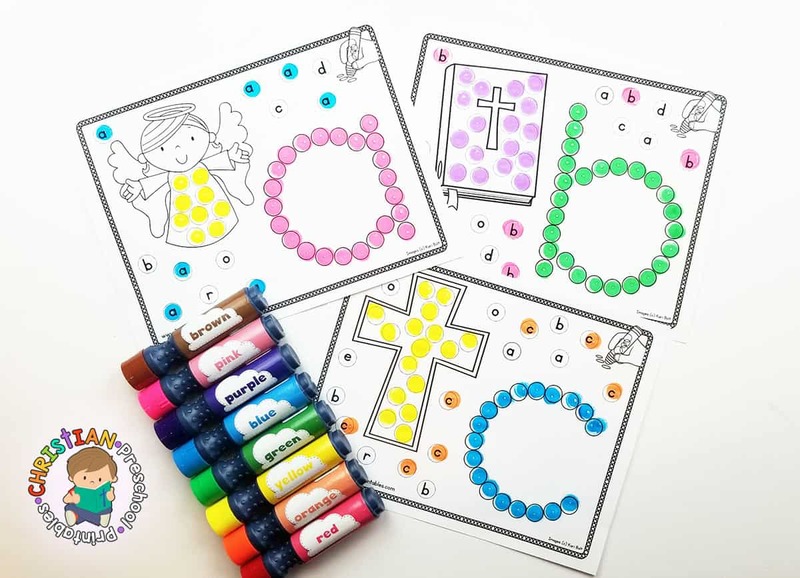 Better yet, print up a complete set for each child in your Sunday School classroom and send them home with their very own Bible ABC book. Read more and purchase this pack from our TPT store here. 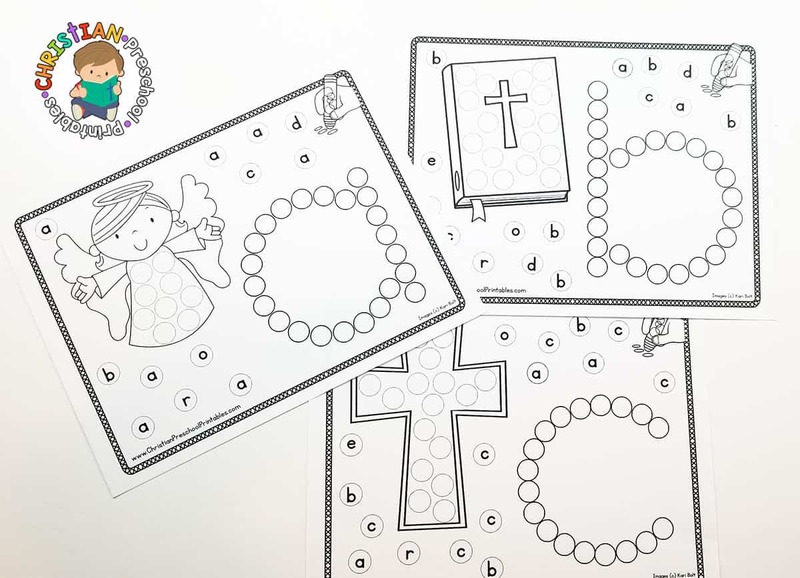 There are lots of possibilities with this set, especially when you pair it up with our Bible ABC Curriculum Notebook. We’d love to see your creations! Don’t forget to TAG us on INSTAGRAM!!! 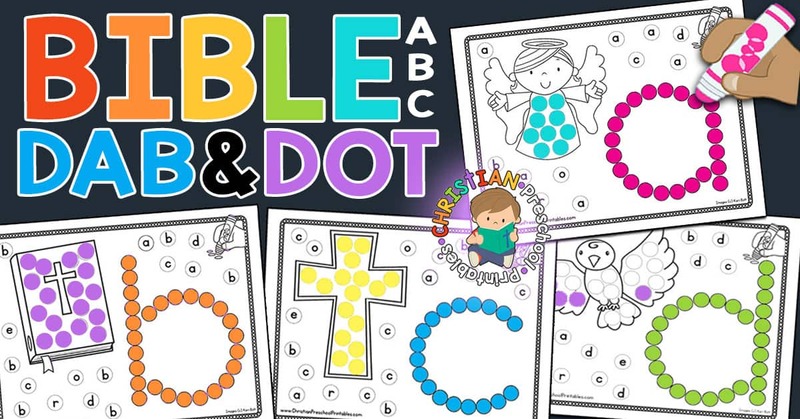 Looking for more Bible ABC Fun? 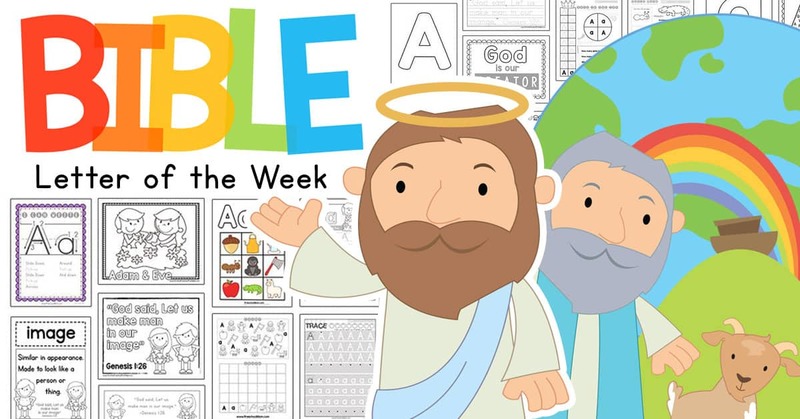 Try our Letter of the Week Bible ABC Curriculum Notebook Today! !